Item # 314982 Stash Points: 4,995 (?) This is the number of points you get in The Zumiez Stash for purchasing this item. Stash points are redeemable for exclusive rewards only available to Zumiez Stash members. To redeem your points check out the rewards catalog on thestash.zumiez.com. 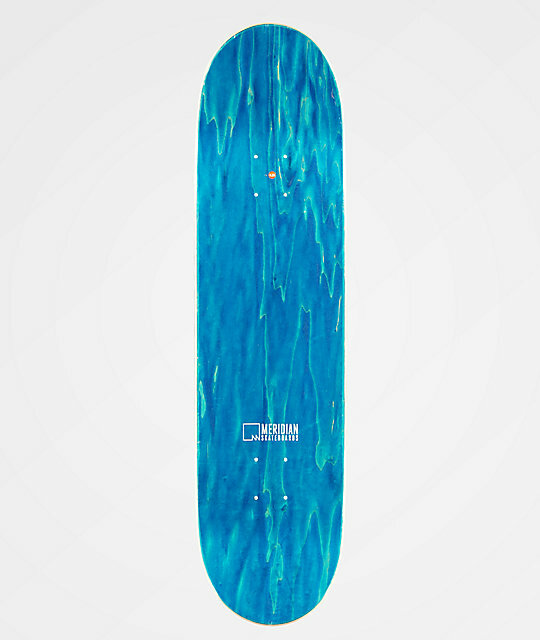 Get a new skate setup with In Bloom 8.25" Skateboard Deck from Meridian Skateboards. This 8.25" popsicle deck features a blue and yellow pixelated graphics of a hand with blooming flowers, for a fresh deck design from Meridian. 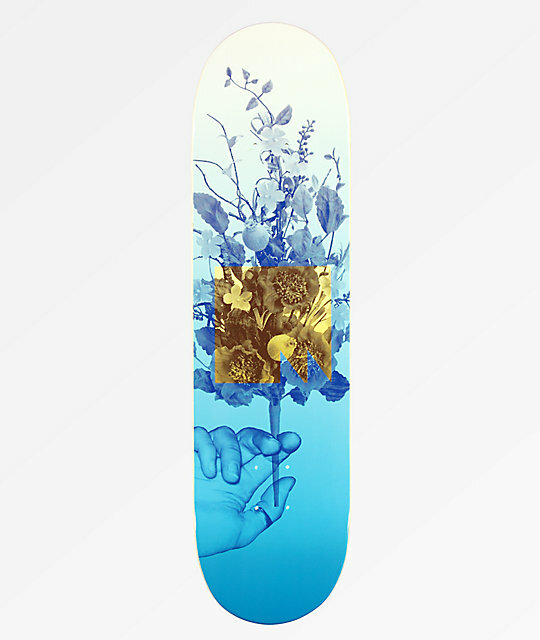 In Bloom 8.25" Skateboard Deck from Meridian Skateboards. Top ply colors vary, Zumiez will ship first available color.